Venture onto an unchartered island where kids survive and thrive! 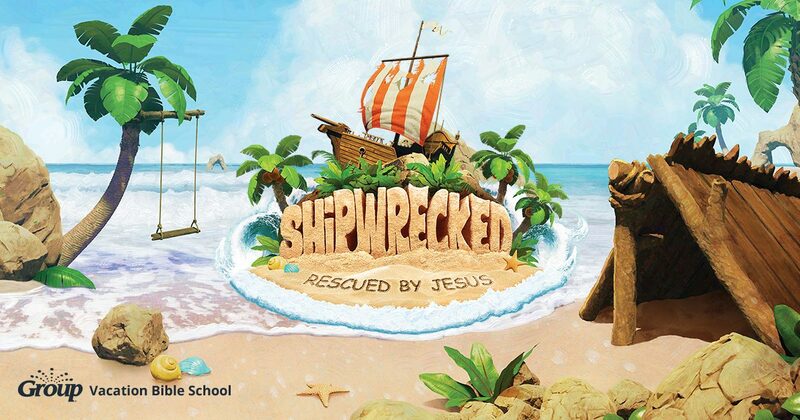 Anchor kids in truth that Jesus carries them through life's storms. VBS is hosted at the Portage United Methodist Church and is sponsored by several parishes in the Portage area. Registration Forms: To register your child(ren) you can pick up forms at any of the sponsoring churches. Forms can be found in the back of St. Mary Portage church on the shelf. Or you can click here to print and fill out. 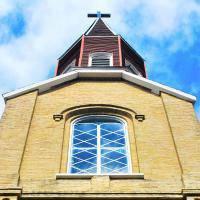 You can turn forms into to Portage United Methodist Church. Register by July 15th for a discount! Mission Project: Each year we choose a local mission project to support. The children will bring in food for the Food pantry and supplies for the Humane Society. Donations Needed: We are in need of several items to be donated and also for cash donations to provide scholarships to children that need assistance. If you are able to donated any of these items, please drop them off at the St. Mary Parish Center. Volunteers Needed: We are in need of teens (7th grade up) and adult helpers for that week. We need Group Leaders and Helpers, Station helpers... and more! Fill out this form to sign up. You can turn it in to the office of St. Mary church or Portage United Methodist Church. RECEIVE A FREE GIFT WHEN YOU SIGN UP BY JULY 15th! Volunteer Training date for all volunteers is on Tuesday, July 17th at 6:00 pm OR Sunday, July 22nd at 6:00 pm. The training session will be held at Portage United Methodist Church. All volunteers must meet safe environment requirements before volunteering.